Businesses utilizing identity document verification should make the most out of it by ensuring they are able to effectively spot forgeries while ensuring a smooth and seamless customer experience. With both of these crucial factors in mind, The Fraud Practice has compiled a short list of the most common pitfalls merchants that perform identity document verification share. A viable user experience is equally as important as effectively spotting forgeries, and organizations should ensure their identity document verification processes are easy for their customers to complete. 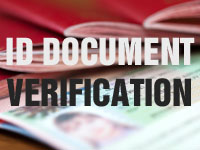 It is common to find risk management teams relying on legacy identity document verification practices, which limits their ability to take advantage of the opportunity to leverage new technology and techniques to verify modern identity documents. Making use of new identity document features and services can help protect the organization and improve customer retention and conversion. To help organizations make the most out of using identity document verification, The Fraud Practice has compiled a short list of the most common pitfalls merchants that perform identity document verification share. In reviewing the common pitfalls, it is important to keep in mind that in the past decade government issued identity documents (IDs) have evolved, but many systems and implementations for verifying IDs have not; unnecessarily leading to missed fraud and lost sales. Identity document verification can be an effective and often necessary risk management technique for many different types of organizations. Whether an organization manages a homegrown identity document verification solution, uses a third party service or is currently evaluating options, the focus should be on maintaining good customers and an optimum user experience while detecting and mitigating identity fraud. 1) Organizations’ and their staffs’ knowledge of identity documents are too limited. There are numerous forms of identification that may be provided by a consumer, and even within one country there can be many variations of the same form of ID based on the region or state/province where the ID originated. Take the unique driver’s licenses provided within the United States as an example. There are 50 variations of a driver’s licenses your risk personnel should be acquainted with, each with their own set of features and nuances. As an exercise, consider these questions: "Can our risk team properly determine if a driver’s license from South Dakota is valid? Do they know what it is supposed to look like?" This is only complicated further if an organization is doing business cross borders and has to be aware of how to validate international documents. Keep in mind, it is not enough to simply know “what it looks like” they also need to know how to identify key markers within the identity document, such as special holograms, orientation, imagery and/or watermarks. Limited knowledge of what specific IDs look like and what unique features they should include can make the detection of forged documentation difficult to those without an educated eye. 2) Businesses are not leveraging latest industry technology and techniques for making identity documents safer and less vulnerable to forgery. Identity documents have evolved and now present more sophisticated features to impede identity thieves. Organizations not using the latest technology and techniques will inherently become targets for additional fraud. For instance, a passport’s machine readable zone (MRZ), special magnetic inks, and barcodes are typically leveraged by services focused on identity document verification as these key markers are more difficult to forge. Most manual and homegrown services lack the ability to efficiently detect these features or their inconsistencies, such as when a barcode indicates a different name or gender than what appears to be printed on the document. Many of these checks occur in an automated fashion and at the very least can catch a significant number of forged documents reducing the need to manually inspect these IDs. 3) Organizations are over reliant on manual review and visual verification of identity documents. The visual review of an identity document is cursory at best and relies on the review staff and organization’s limited knowledge base. An over-reliance on manual and visual processes also leads to inconsistency in results across staff and can significantly slow down the time it takes for the consumer to receive an approval or response. Likewise too much emphasis on manual review without leveraging any technology for reading documents leads to a more labor intensive approach to verifying identity documents. Modern identity document verification services can perform several automated checks that simply cannot be accomplished by the naked eye, and can be a more effective alternative to only performing manual review. It goes without saying, scaling manual review teams is costly and difficult when taking into account employee turnover and training. In short, an over-reliance on manual verification costs more, is more difficult to grow and typically yields lesser results. 4) Organizations are still using outdated methods for document capture from consumers. Many organizations still require their consumers to fax or scan and then submit their identification. The time and effort required to complete this is taxing for the customer and the organization. The internet and eCommerce has changed quite a bit in the past two decades, and so too have consumer expectations. Organizations have more choices to collect identity documents from consumers that are more conversion friendly. New technology and techniques include the use of capturing identity documentation via a smartphone camera and/or webcams. Leveraging the latest capture techniques enables the organization to operate more efficiently and improves the customer experience as this step can be completed more seamlessly within their transaction or application session. Improved data capture techniques also introduce additional validation capabilities such as facial recognition comparison, meaning these capture tools can also improve the effectiveness of the technique.